I always say this but Gift Sets (or Kits) and specifically Holidays Gift Sets are a great way to try out new products especially when it comes to a new brand. In these kits or sets sometimes you get to try out deluxe sized samples and sometimes you get full sized products for less than what you would usually pay for normally for the full sized product alone so it’s more value for money. Fortunately, in Kuwait we have no shortage of Holidays. Most stores participate in both Muslim and Christian Holidays meaning stores will put out Holiday Gift Sets for Ramadan/Eid, and they’ll do the same for Halloween/Christmas/Valentine’s Day and that’s not mentioning Mother’s Day or the National Holiday Gift Sets during Hala February. Then we have the Seasonal Limited Edition Gift Sets that come out every single season. Basically, we are spoiled for choice because there’s just so much to choose from! I went to The Body Shop a while ago looking for a single item, the Strawberry Sorbet, but I left with all these goodies (and some of them were even on sale!). The first thing that caught my eye was this adorable Glazed Apple Tin of Treasure! Again, this thing is stupid cute! I thought that it was only some sort of storage box in the shape of an apple. As it turns out, it came with all these goodies inside! Glazed Apple Tin of Treasure was originally priced at KD10/000 but was reduced to KD8/500. It came with a Glazed Apple Body Polish (75ml/2.5 fl oz) with apple extract and and community fair trade honey from Ethiopia, Glazed Apple Shower Gel (60ml/2.0 fl oz), Glazed Apple Shimmer Lotion (60ml/2.0 fl oz), Glazed Apple Body Butter (50ml/1.6oz/48g), and a shower puff loofah thingy in matching green. These travel-sized minis would come in pretty handy for a short vacation abroad, or to the chalet even. 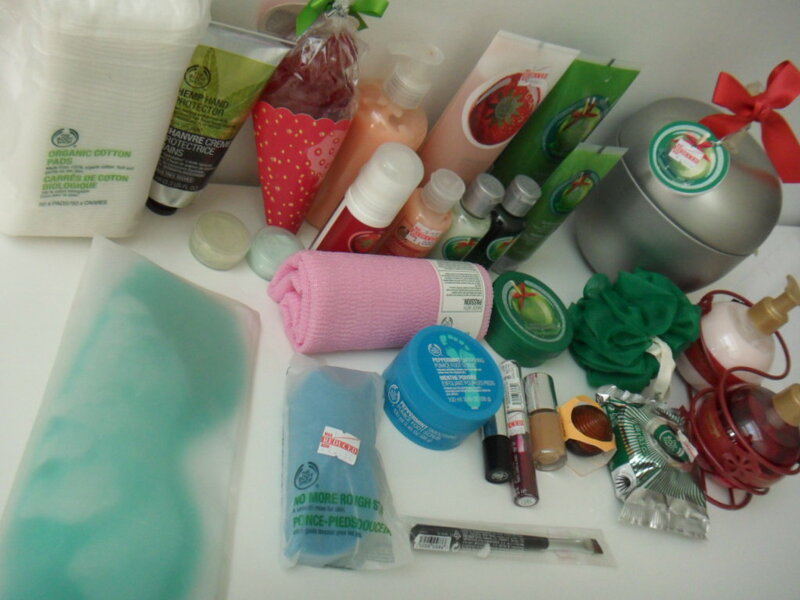 I’ve inserted a pic of both the shower puff from B&BW (hauled here) and the shower puff from the Glazed Apple Tin of Treasure Gift Set, side by side for comparative purposes. Glazed Apple is one of the limited edition holiday scents and obviously I love apple-scented products, especially green apples, so I got another Glazed Apple Body Polish (200ml/6.75 fl oz) reduced to KD3/000 and a Glazed Apple Soap (100g/3.5 oz) reduced to KD1/250 from KD2/000. I’ve shown the travel-size Glazed Apple Body Polish from the Glazed Apple Tin of Treasures Set side by side with the full-size Glazed Apple Body Polish for comparative purposes. Another Limited Edition holiday scent is Cranberry Joy so I got the the Cranberry Joy Festive Hand Care Duo which came with Cranberry Joy Handwash (240ml/8.1 fl oz) Cranberry Joy Hand Lotion (240ml/8.1 fl oz) and a red metal caddy decorated with metal snowflakes. I’m not a huge fan of Cranberry scented anything, but there’s just something about those circular bottles that I find so aesthetically appealing that I just had to have them. For now, I’ve set these up in the guest bathroom but once they run out, I’m probably going to hold on to those ridiculously cute rounded bottles and maybe fill them with something else because I love the way they look and don’t want to throw them out. The Cranberry Joy Duo cost KD6/000. 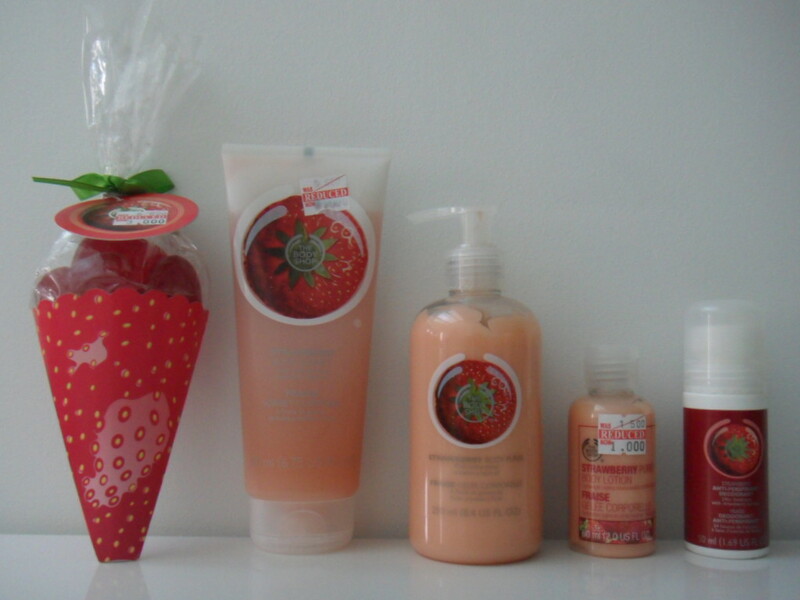 I’ve always loved The Body Shop’s Strawberry line (pre-college days). Although their take on strawberry is not quite true to name, the scent strongly reminds me of Japanese gum (the strawberry flavored one only) that I used to buy at the chalet (during my childhood). Both scents are artificially sweet obviously but I love one because it reminds me of the other. I guess you could say The Body Shop Strawbery scent is a dupe for the Japanese Bubblegum. The scent is the only reason why I’ve repurchased the Strawberry Puree Body Lotion (that comes with a pump dispenser) for years and years and even turned all my girlfriends on to it (this was pre-Bath&BodyWorks Days) and I’ll occasionally pick up another item in the same line, like the strawberry shower gel or those cute heart-shaped strawberry-scented soaps. L-R Strawberry Soaps, Strawberry Sorbet, Strawberry Puree Body Lotion, Mini Strawberry Puree Body Lotion, and finally a Strawberry Anti-perspirant Deodorant. These cute heart-shaped Strawberry Soaps in equally cute Strawberry Cone packaging were originally KD5/000 but I picked them up for KD3/000. The soaps are quite small and are better suited for decorative purposes in a guest bathroom or at least that’s what I bought them for. It doesn’t hurt that they actually match the Cranberry Joy Duo (in color). Some guests use them while others opt for the soaps that come with a dispenser. I like to have a variety so people can choose whatever they prefer. This is the sole reason I went to The Body Shop to try out this new intriguing “sorbet” product. 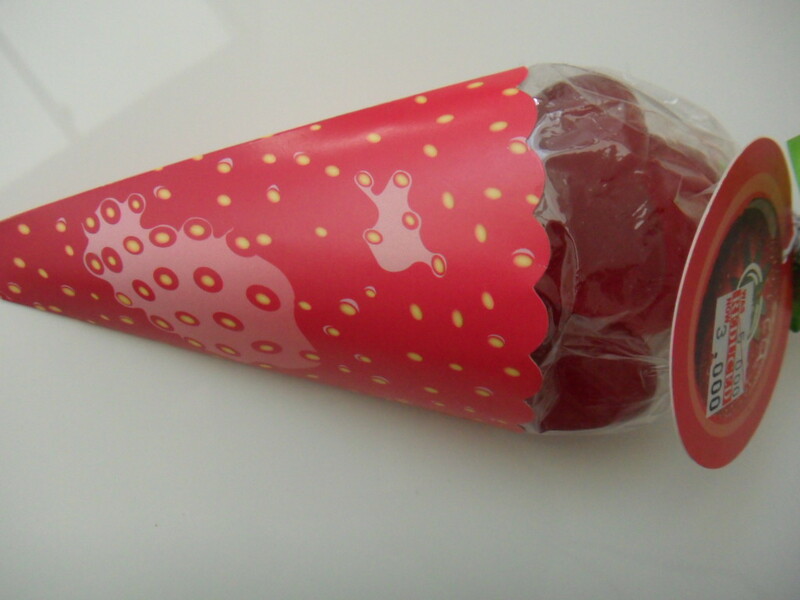 Strawberry Body Sorbet with cold-pressed strawberry seed oil was reduced from KD5/500 to KD4/000. 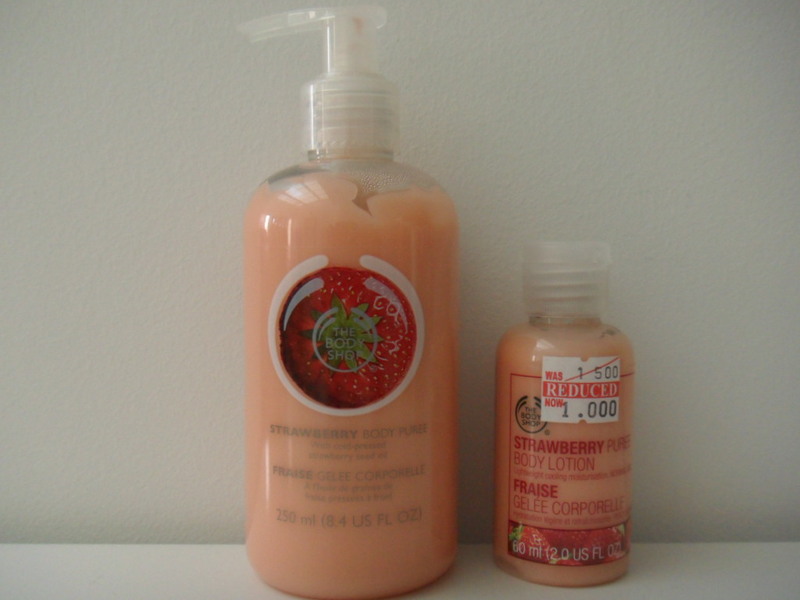 Strawberry Puree Body Lotion and mini Strawberry Puree Body Lotion are essentially one and the same. 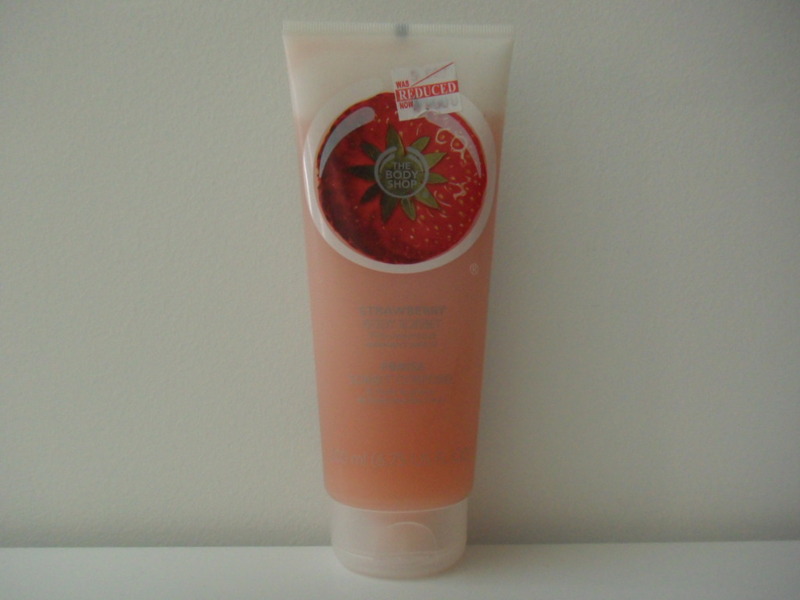 The Strawberry Puree Body Lotion retails for KD5/000 and I’ve actually finished up several Strawberry Puree Body Lotions in the past because they smell synthetically sweet like Lotte (japanese bubblegum). The mini Strawberry Puree Body Lotion, I picked up at the checkout counter, reduced from KD1/500 to KD1/000, because everything mini is cute and I felt I could pop it in my handbag as opposed to lugging around the larger size (which is what I did in college before giving up and just stashing it in the car where Kuwait’s merciless sun turned it into a watery mess every time I’d try to lotion up). Here’s a pic of both the Glazed Apple Shimmer Lotion from the Glazed Apple Tin of Treasure Set and mini Strawberry Puree Body Lotion from the checkout counter side by side for comparative purposes. Strawberry Anti-perspirant Deodorant retails for KD3/250. The no fuss, dome-shaped packaging looks kinda’ cute too. It smells like straight up alcohol at first but dries down to that sweet Lotte (Japanese Bubblegum) scent. I picked up an Eye Mask for KD3/500 because I’ve always wanted one, especially the kind you pop in the freezer before putting it on to “soothe” and “refresh” tired eyes. It says Made in UK on the back. I like the fact that it comes with velcro straps so you can kinda’ adjust the size. Although a touch pretentious, this would be perfect for an at-home Spa Day! 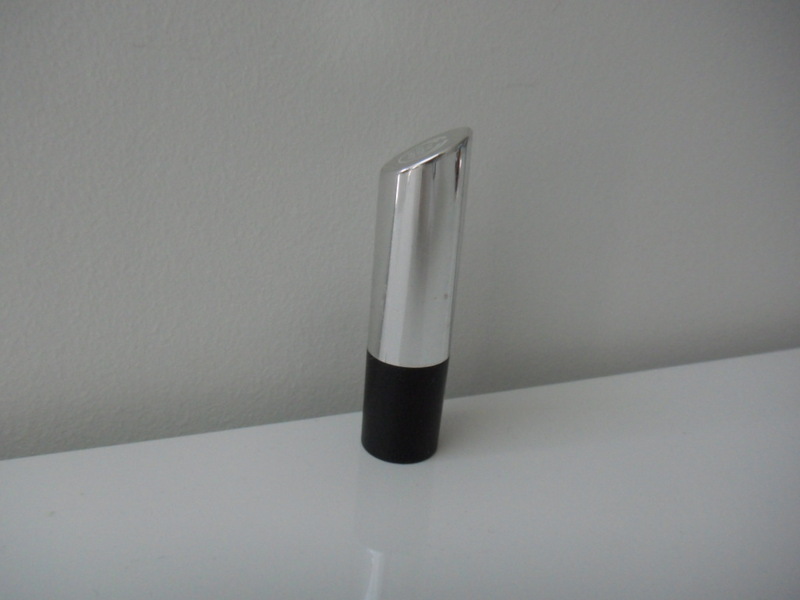 I love exfoliating so this Body Polisher which cost KD1/300 was definitely coming home with me. It says Made in Taiwan on the back. Initially I bought this as a muslin cloth substitute, something to scrub my face with every morning. I usually buy cotton pads from another brand but decided to try these Organic Cotton Pads which cost KD1/250. I LOVE the fact that these come with the drawstring closure because even once you open up the pack and start using it, you can pull it shut and the cotton pads will be protected from the elements (in Kuwait, that means Dust, and lots of it, like, on the daily). I’ve always been a huge fan of drawstring closure when it comes to cotton pads. Another thing I’d like to point out is that these specific ones from The Body Shop are actually quite huge, perfect for makeup removal or nail polish removal. If you care to, you could even cut them in half (because they are just that big) as opposed to wasting them. It says Made in Turkey on the back. 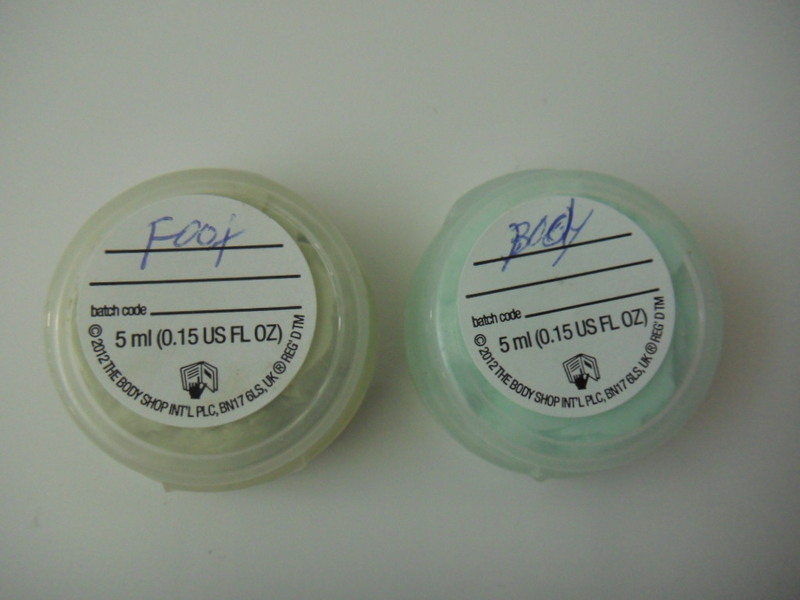 I picked up some foot stuff too, Peppermint Foot Scrub and Foot Smoother. 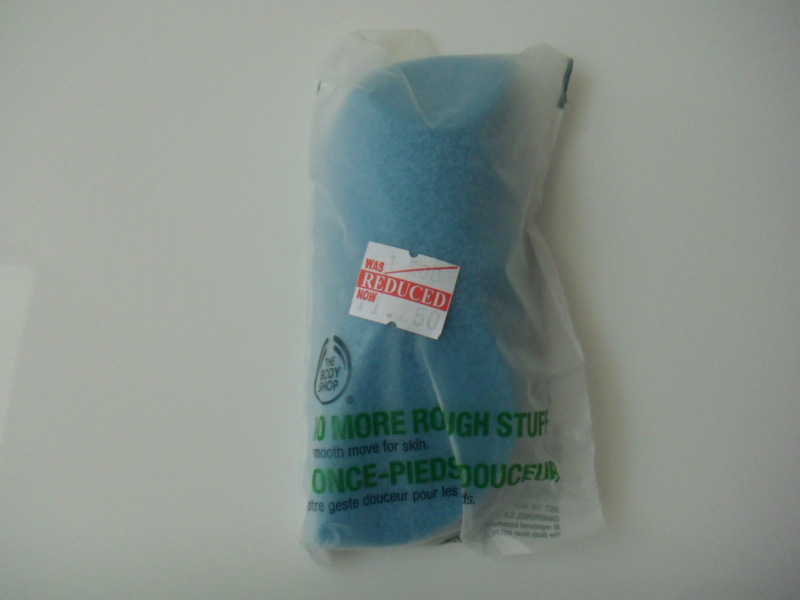 The Foot Smoother cost KD1/500 was reduced to KD1/250 and is similar to Titania Foot Scrub hauled here. Interestingly enough, it says Made in Germany on this thing too. The Peppermint Foot Scrub retails for KD2/350. I’ve repurchased this off and on throughout the years because it has such an interesting consistency. It’s soft and squishy, almost like caviar but it foams up wonderfully and smells minty. Volcanic Rock is also one of the ingredients that draws me in to a product, as I’ve mentioned before here and here. 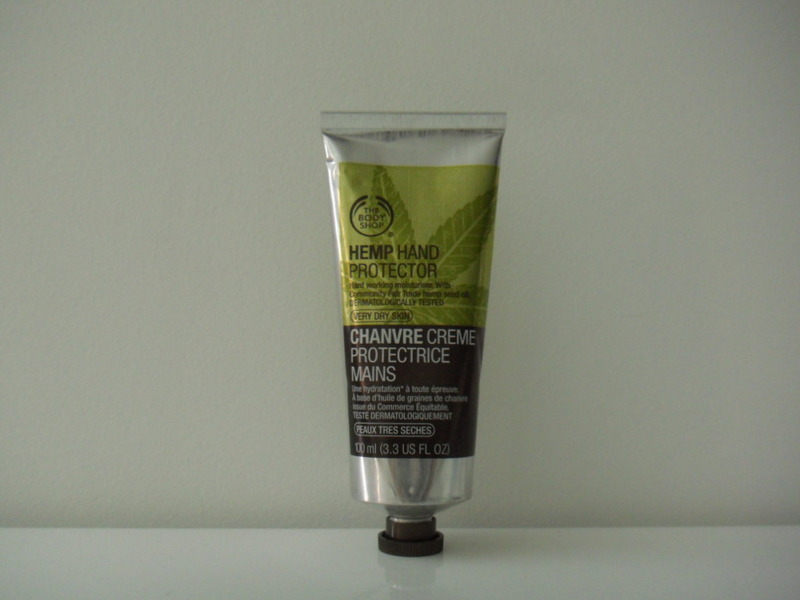 Finding the Hemp Hand Protector was such a happy surprise! I couldn’t believe it only costs KD4/000. You guys, I’ve searched for this thing for years! I’ve literally asked around The Body Shop stores in Kuwait, Emirates, Cyprus, and even Thailand. It’s always either out of stock, or in Kuwait’s case, “illegal”. I was literally beaming when I found this. Also how cool is the packaging? Doesn’t it look like something L’Occitane would come out with? I wanted a couple of things but asked for samples (to see how I got along with them) instead of purchasing them first. One was the Hemp Foot Cream and the other I wanna’ say is the Absinthe Hand Butter (kinda’ forgot). I couldn’t resist picking up a bunch of lip stuff of course. I got this Shimmer Lip Balm ages ago but never hauled it so I figured I’d lump it in with this haul. It cost KD3/250. At first, I thought, “Not another EOS dupe. Enough, already!” but then I looked at it closely and fell in love with the gorgeous design on the pot. It says Made in Thailand on the back. Also, I’m pretty sure that this is from the Honey Collection and just like anything with the word Volcano (or other variations of it), I’m attracted to most things Honey. 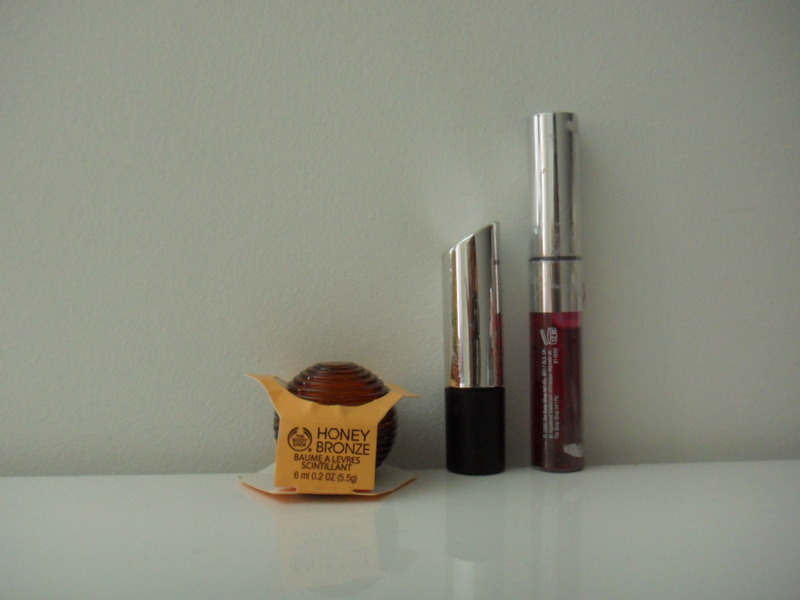 Just enter the word Honey in the search bar on my blog and you’ll see. The first Lip Scrub I ever used. 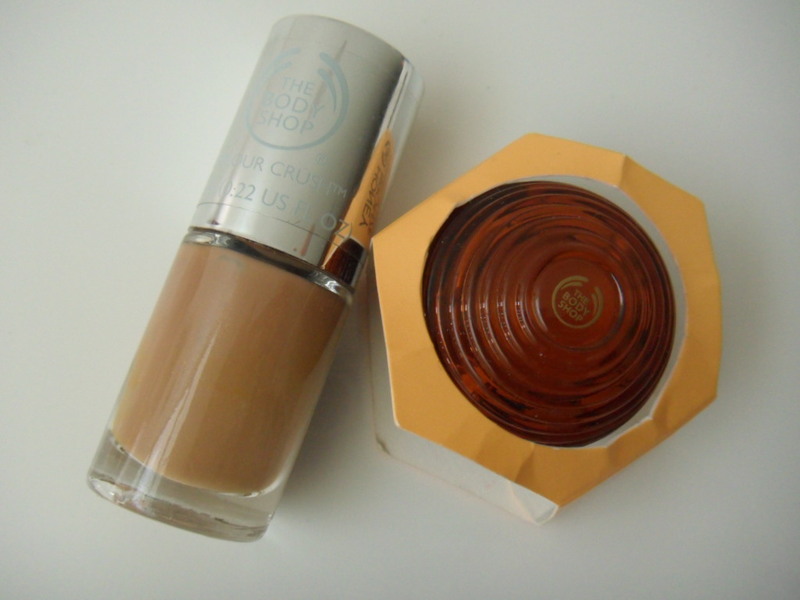 Not this one specifically, just the same kind, from The Body Shop. This is yet another product that I’ve purchased from them off and on throughout the years. It smells minty which is nice but it’s very bitty and crumble-y. Honestly, there are better Lip Scrubs out on the market nowadays. Another repurchase is this Lip & Cheek Stain in the shade Rose Pink. Originally priced at KD5/000 reduced to KD3/000. I did not repurchase this because the first one was finished. I actually bought this again because I lost the first one and I really want to try this product out. 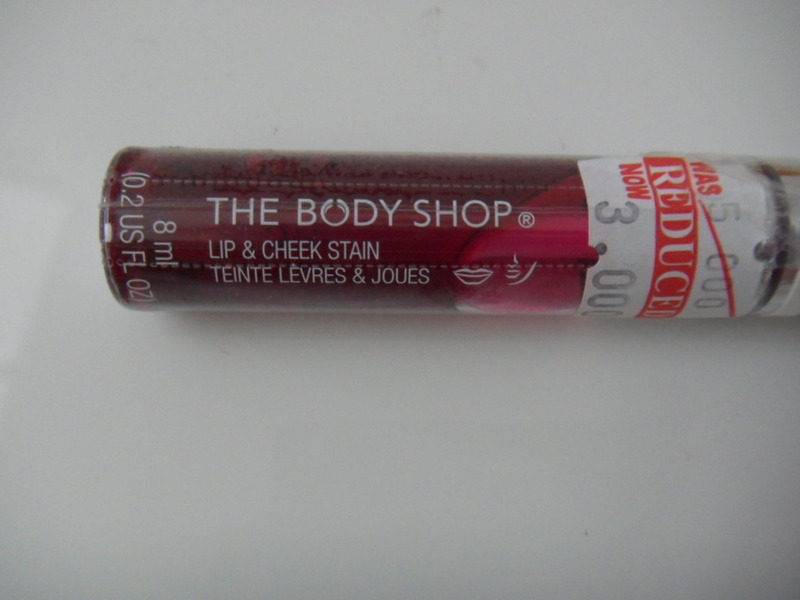 I have a bunch of lip stains and even more cheek stains from other brands but this one from The Body Shop looks so nifty that I just had to get it again to try it out. It says Made in Italy on the back. I picked up this Nail Color in the shade Caring Caramel for KD2/500 because it just seemed like such an ugly color and looked so sad and forlorn on the shelf. It looks like it would clash horribly with my sallow skin but I could be wrong and it could compliment my olive skin beautifully. I’ll let you guys know in a separate post of course. On the back, it says Made in France. 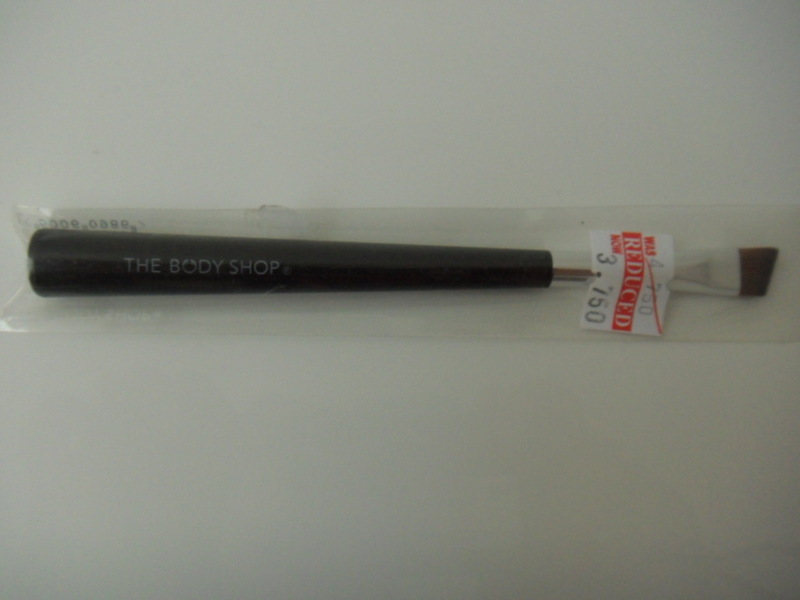 Finally, I picked up this Eyebrow Brush which was KD4/750 but was reduced to KD3/750. It’s a repurchase but not really a repurchase. I’ll explain why. I bought two of these Eyebrow Brushes years and years ago (when I first started out with makeup). I used them for lining my eyes with eyeshadow as opposed to eyeliner (I’d pat on a matte pastel pink all over the lid, then using this brush I’d line my eyes with a deep prune purple eyeshadow before topping it off with mascara). Later on, I used it smudge some pastel blue on the lower lid (college years, everyone was doing it, don’t judge me). I started using it to line my eyes with Gel Liner. In the later years, I used that same brush for contouring my nose. Finally, for the past 8 years I’ve been using that same brush to fill in my brows with an eyeshadow. Throughout the years, I lost one of those two brushes so I went to pick up another but they had completely redesigned everything including said brush and it was no longer stiff and precise. It was larger and fluffier and softer so I didn’t pick it up. The latest reincarnation of the Eyeshadow Brush I’m in love with is nowhere near as stiff as the original but it looks somewhat similar so I decided to pick it up and give it a try. I have a bunch of other makeup brushes (read: too many) but the old-school one is my Holy Grail brush.